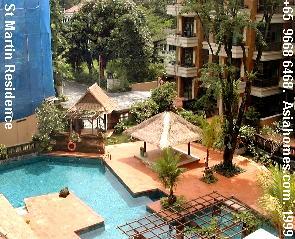 A Balinese resort style, upscale, downtown condo. 82 units. Freehold. Completed: Nov 2000. 2 St Martin's Drive. 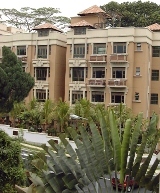 Near Tanglin Mall and Orchard Road. Foreigners can buy this development. Balinese resort ambience. Balconies off living area. 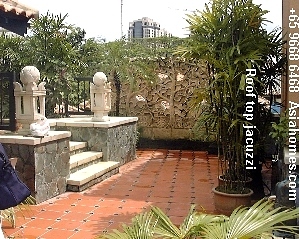 Roof top jacuzzi and terrace for maisonette units renting from $10,000. Roof top jacuzzi present in the penthouses. Swimming pool, Big landscaped pool, children's pool, landscaped ponds, open-air pavilion, clubhouse, basement gym, basement car park, 24-hour security. 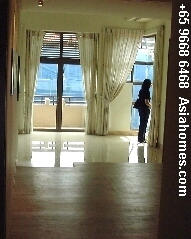 Prime location, upscale accommodation, close to Orchard Road but not near the traffic. 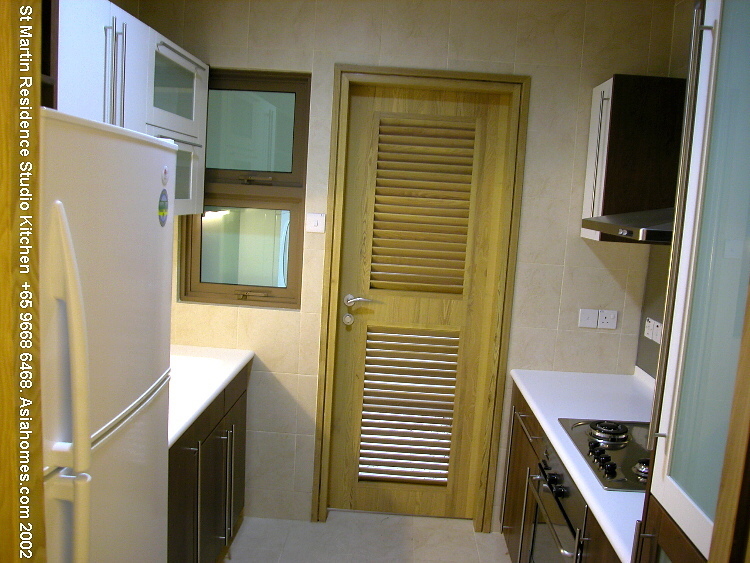 Light coloured platform wooden dining area and light brown marble flooring in 2- and 3-bedroom units. Small balcony off living area and high glass windows in 2- and 3-bedroom units. Good quality finishes in the bathroom and kitchen. 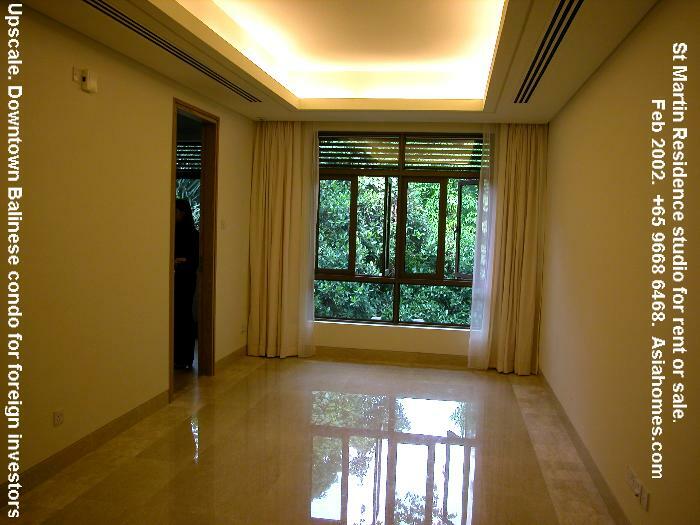 Light brown marble flooring for the living area, wooden floor boards for the dining area (elevated) and the bedrooms. The kitchen is not air conditioned but characterised by the unique white Corian countertop in the sink and hob area. Imported white long bath, basin and W.C. Frameless shower stall on left (not shown in image). White Corian countertop (one continuous piece for the kitchen sink and stainless steel hob and oven. 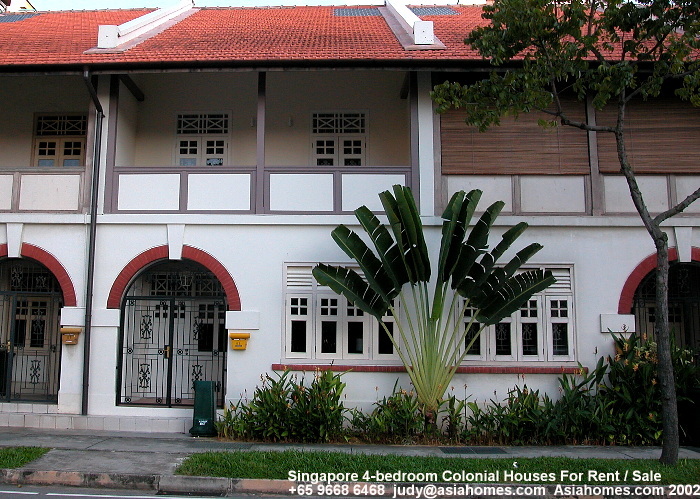 2-min walk to Tanglin Mall and Orchard Road shops and supermarkets. No tennis court. Pool and gym only. The maid's room is so small, about 40 sq. ft, that it can only be used as a store room. 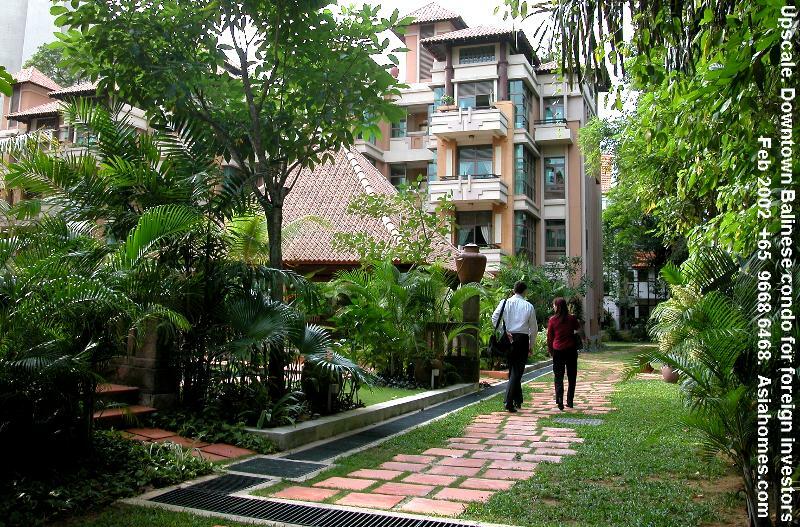 Around 15 min walk to the Orchard subway but it is located a 1-min walk to Orchard Road, near Tanglin Mall end. 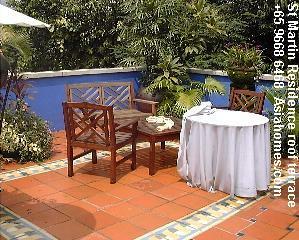 St Martin Residence studios for sale or rent.